Mountain West Marine is your source for premium quality frags and more! All of our frags are cut from colonies that have in captivity for several months or more; proving their ability to thrive in aquaria as well as maintain the awesome colors you've been looking for! Keep checking back as new corals are added. 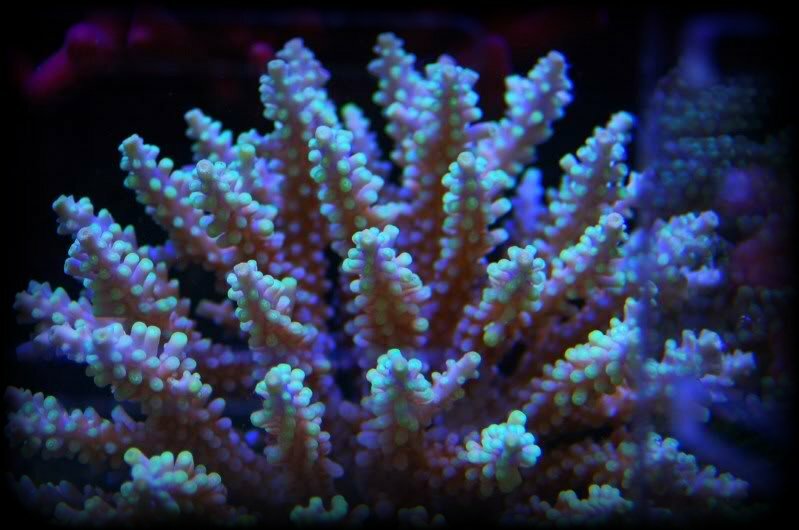 We also offer full colonies for sale! This milli will blow you away! We haven't come across one like this for a long time, and it only gets brighter every day! Frags should be kept in high lighting and flow for best color and health. Please email or call to check availability. Awesome cosmic green Stylophora! This piece just keeps getting brighter and brighter! 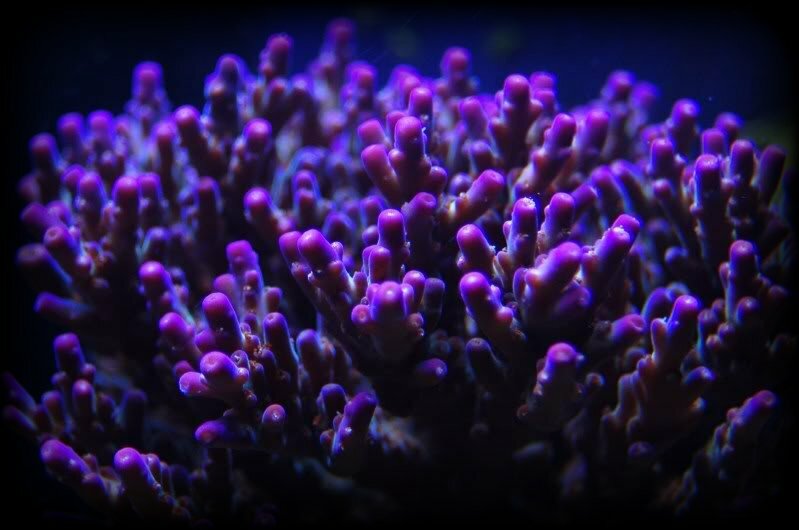 High lighting and flow will ensure that it will thrive in your aquarium! 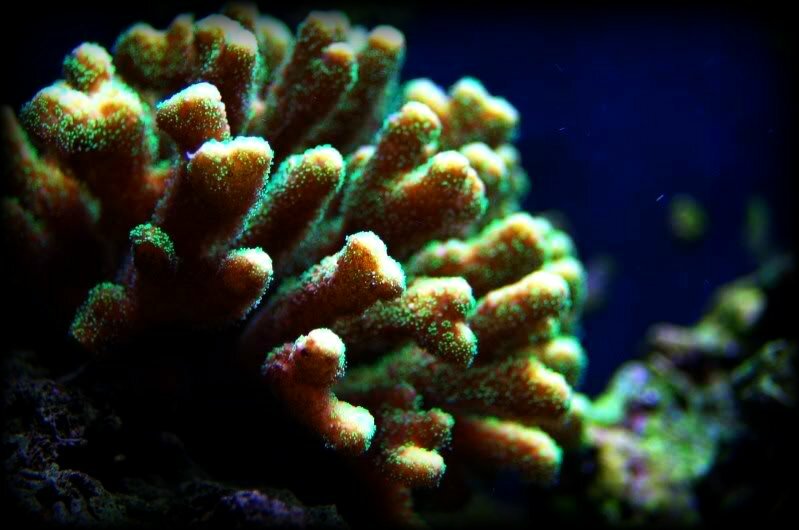 This is a very bright acro that is sure to add lots of highlights to your tank. 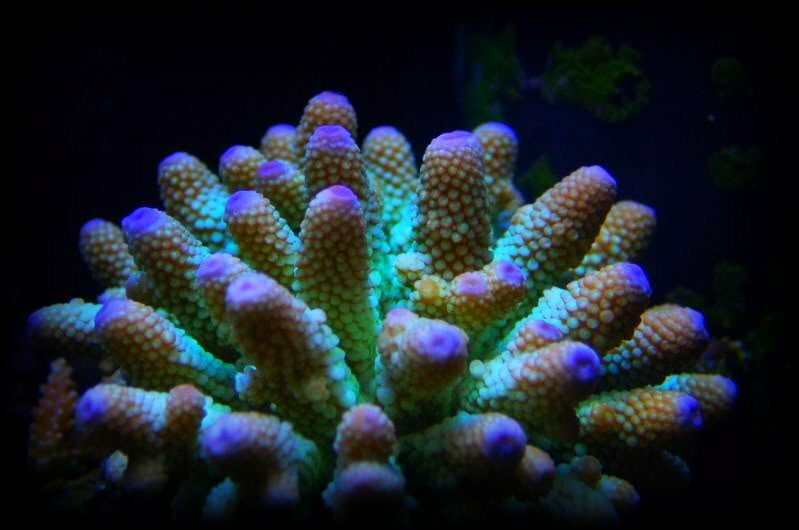 Like with any Acropora frags should be kept in high lighting and flow. We've been growing this Tri-Color out for the last 8 months, and have decided it's finally time to offer this awesome piece to the public! Blue, Purple and Green this acro will add that needed splash of color!